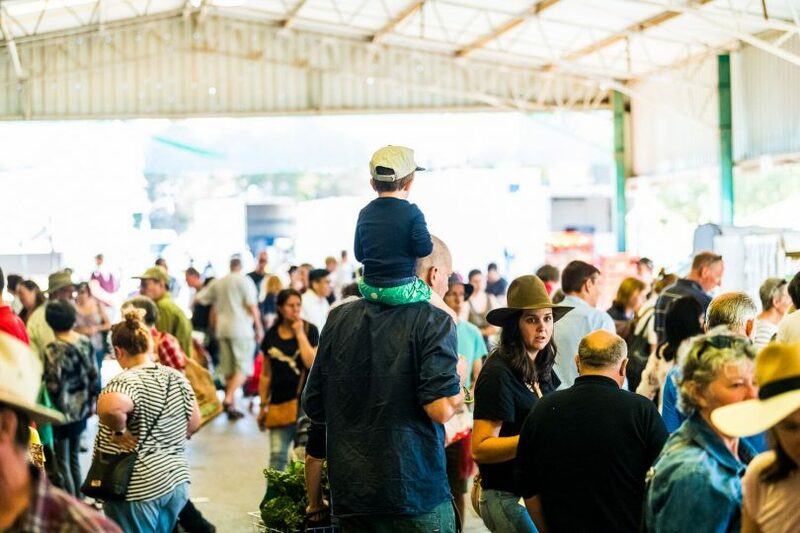 The Capital Region Farmers Market started 15 years ago with just 15 stalls and around 500 customers but it has grown to become Canberra’s largest farmers’ market – with around 100 stalls and 6000 customers each week. 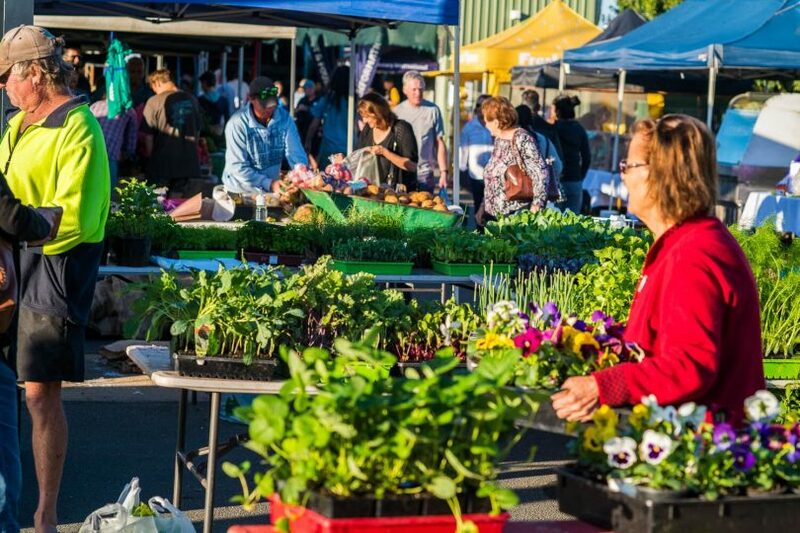 Capital Region Farmers Market Director and Rotary spokesperson, John Kenworthy said the Capital Region Farmers Market is thriving after 15 years in Canberra and there is much to celebrate. However, it could have been very different with previous farmers market projects failing before the Rotary’s one got underway in March 2004. It seems that the idea for the current farmers market was born back in 2003 when the Rotary Club of Hall took on a project collecting and selling viable roses from the Old Parliament House Rose Gardens upgrade. It was a success. 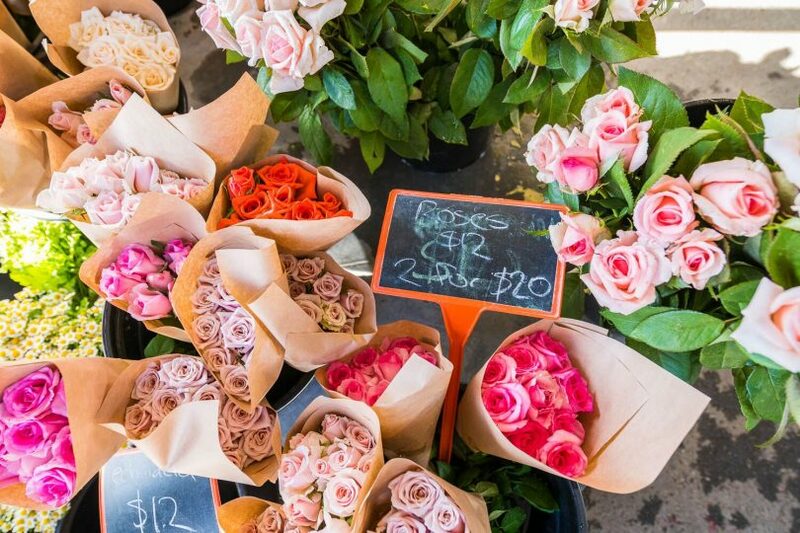 Roses played an important role in getting the popular markets started. Sadly, around the same time, one of the Rotary members was trying to sell his own vegetables and faced hardship due to “the stronghold of wholesalers in Canberra”. The ‘lightbulb moment’ came when club members started thinking about the success of the roses and how it might work for vegetables. A major analysis was undertaken to determine the dynamics of farmers markets, and business plans were developed. Importantly, the timing was also right. Drought conditions had put an emphasis on the plight of Canberra and region farmers, with wholesale arrangements seen as inadequate and farmers finding it too difficult to sell through commercial means. The rest is history and today the Capital Region Farmers Market is still managed by the not-for-profit Rotary Club of Hall. “It’s been 15 years of fresh produce, 15 years supporting local and regional farmers and producers, 15 years supporting community projects and contributions through Rotary, and 15 years successfully feeding our community,” said Mr Kenworthy. 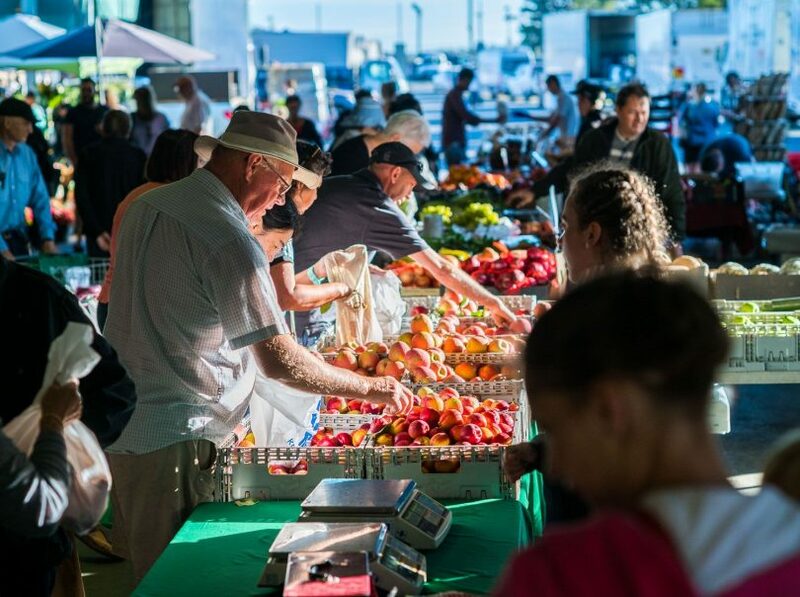 The market’s 15th anniversary this Saturday (March 16) will be celebrated with a chance for shoppers on the day to win one of 20 bags of fresh market produce. There will also be 20 market gift vouchers up for grabs via a social media competition to be run this week. “We really want to make our 15th birthday about celebrating what we have achieved over the past 15 years,” Mr Kenworthy said. “Rotary really has made a huge impact on local and regional projects as a direct result of funds from the Farmers Market. Food-affiliated stalls will also be on site for the celebrations this Saturday and adding to the birthday party atmosphere will be a huge 15th birthday model cake. 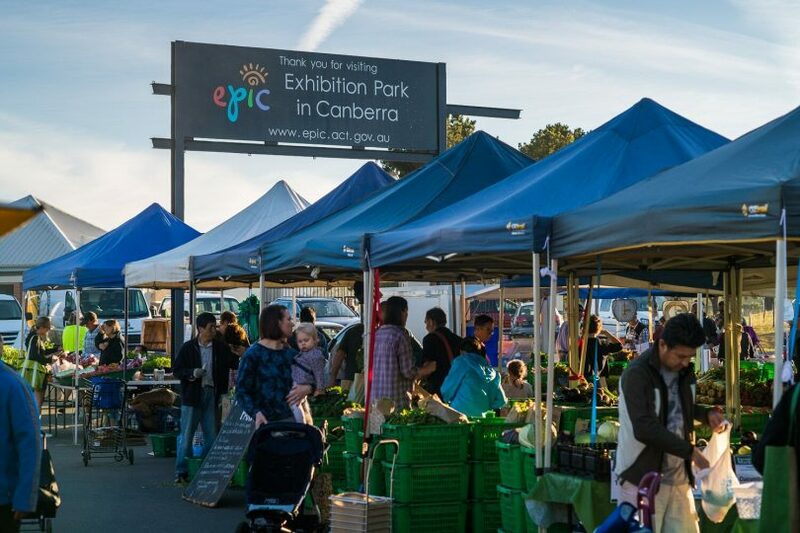 “We invite the Canberra community to come along and mark this very special milestone with us and hope to see a bustling market on 16th March to celebrate,” said Mr Kenworthy. One person who is sure to be on hand for the celebrations is Ed Wensing from Nicholls who said he has been a “loyal and devoted customer” since the markets started in 2004 and rarely misses a week. 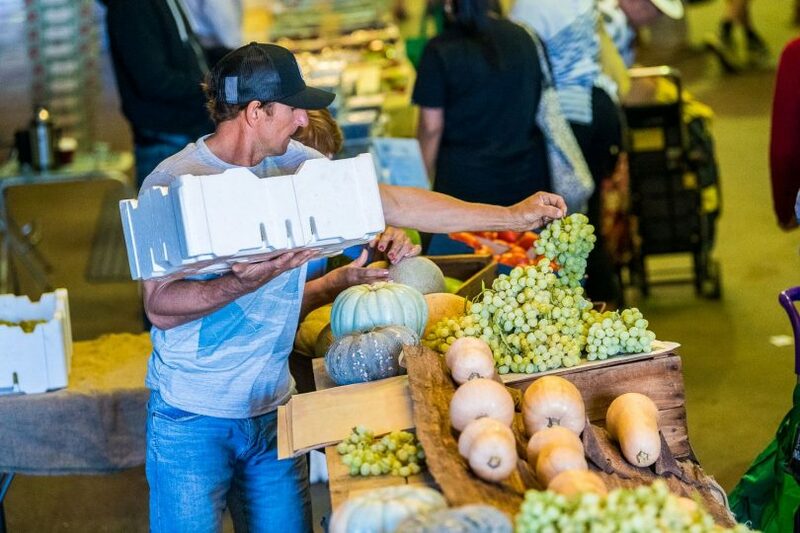 “I love coming to the markets every Saturday because I know I can support the local economy, I can deal directly with the growers or producers, and strike up a conversation about their produce,” said Mr Wensing. Saturday’s birthday celebrations will run from 7.30 am to midday at Exhibition Park in Mitchell.